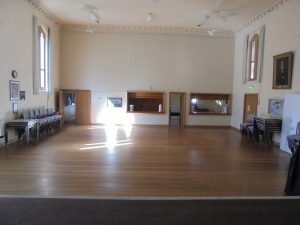 Mead Hall is available for hire. Seating up to 100 people in theatre style, cabaret or your own configuration, it could be the perfect venue for your next function. 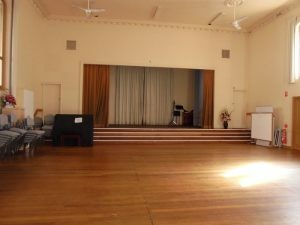 The hall features a stage with curtains, making it ideal for concerts or musicals and is used for Adelaide Fringe Festival events. With a sturdy wooden floor, it is very suitable for a number of different exercise classes. Now has air-conditioning! 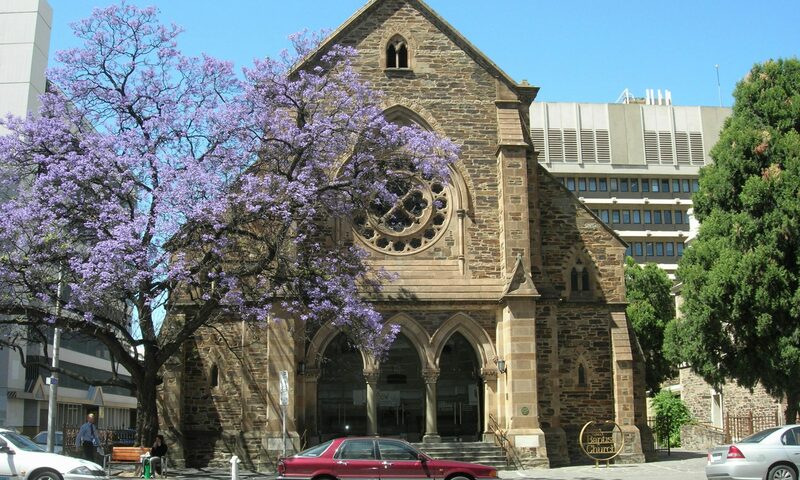 Please note that Public Liability Insurance is required for any hiring of the premises that is not a religious service, and must be organised by the hirer. A certificate of currency must be forwarded to the church office prior to the event.